With all of the food adventuring we try to do, it is often hard to go back to the same place twice even if we enjoyed our experience there. I attribute that to the vast amount of restaurants, new and old, that fill up Orange County. 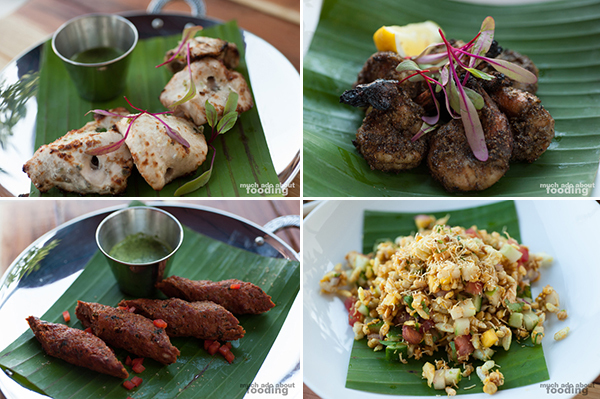 When Anaheim Packing House opened after much anticipation, we sampled a few vendors here and there but found ourselves falling a bit in love with ADYA. Something about the clean way the food tastes and the balance in each portion is appealing; there is also a freshness that you don't often find with the Indian food around. Lunch buffets dominate the landscape easily but ADYA turns in a different direction. I write this particular post with some photos from a recent meal but we have been here several times and enjoyed it every time. 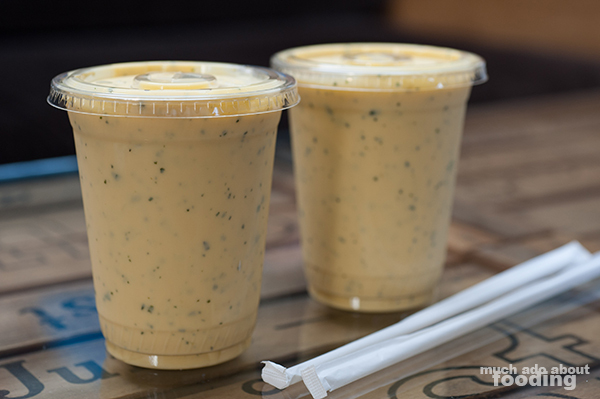 To start off, get your paws on a cup of thick Mango Mint Lassi ($4) which could practically be a meal in itself. That's how substantial this drink is. Though I am willing to bet that the nutritional value wouldn't warrant it a full meal, it sure feels like one. I could drink for lunch...no shame! It is sweet and creamy with the vibrancy that mint brings with it into most dishes. I find this lassi satisfying, not too sweet nor too tart from the yoghurt. Now, whenever we get Indian food, Duc cannot stay away from garlic naan so we needed some of ADYA's. 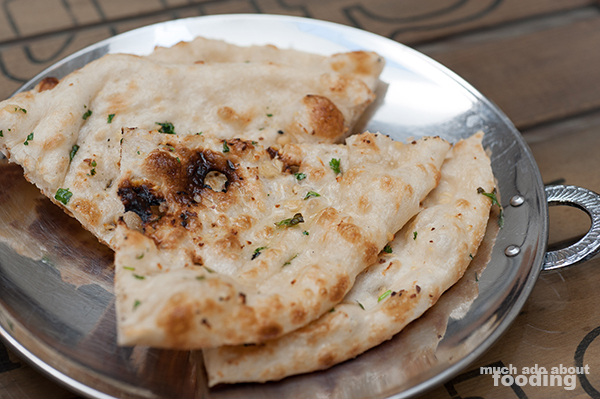 Their Garlic Naan ($4) is not as fluffy as some other spots have it so keep that in mind if/when you order it. It may not meet your expectations. I wish it were more garlicky actually but I did enjoy the crunch in the thinner areas. 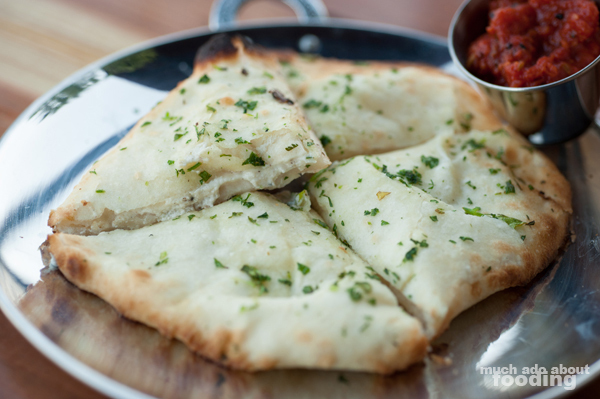 There is also the option to go with a basic naan and also the drool-worthy goat cheese stuffed naan. 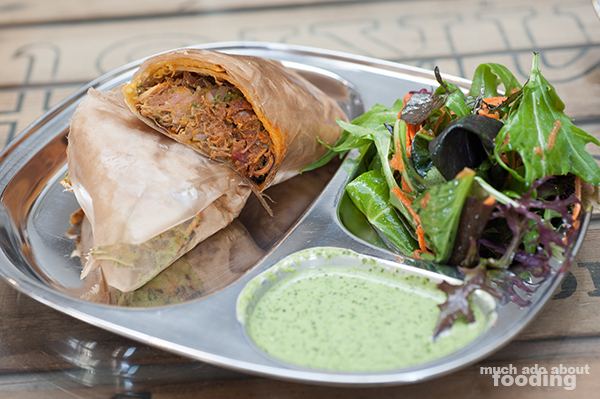 This particular lunch, Duc was feeling simple so opted for the Chicken Tikka Roll ($7 - Jidori chicken, tomatoes, cilantro, and chaat masala). 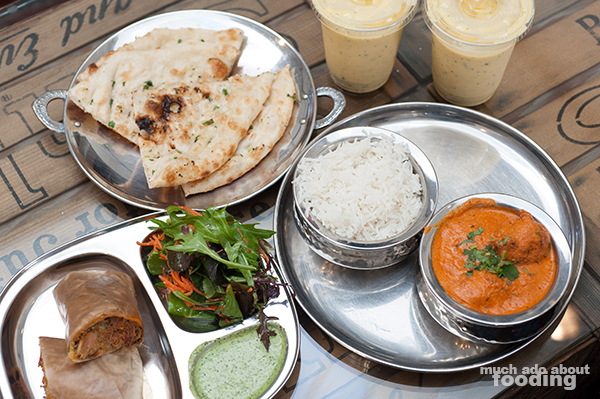 Most of their entrees come on silver lunch trays that give a street food vibe to it which makes sense; they specialize in that style of Indian cuisine. It came with a side salad had a tart dressing which you could do without if that isn't your style of veggies. We both thought that the roll was very flavorful and the meat tender as if marinated in its delectable spices for a decent amount of time. 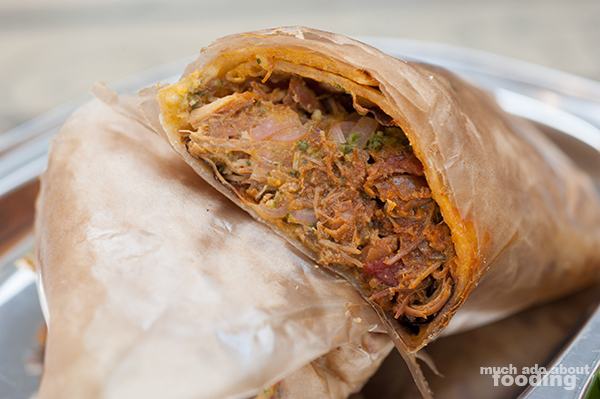 As a roll, it's a convenient way to present chicken tikka as well as being tasty. 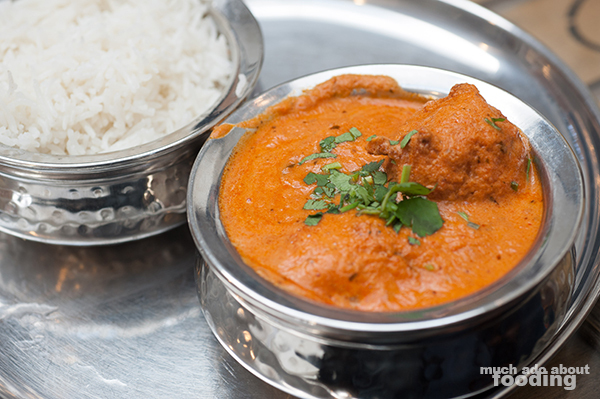 My order was for a special of the day - Malai Kofta ($11 - paneer and potato dumpling in an almond cream tomato sauce). This was served in two bowls, one with rice and one with the malai kofta. While the portion may not seem much when it first arrives, believe me that it is plenty once you factor its makeup. The creamy sauce brings on some weight in the dish as well as the potato part of the dumpling. This dish was savory with some tang of tomato, a lovely subtle acidic way to cut through what could be a heavy meal. The dumplings were plentiful as well. I hope to find this entree again the next time we're in because it has got to be one of my top favorites now for ADYA! If you are interested in seeing more dishes from ADYA, check out our previous post about it with more tantalizing photos like the one below!